GDM Private Financial Solutions provides accounting services for condo associations, homeowners' associations, co-ops, and other Common Interest Realty Associations (CIRAs). We've worked with many HOAs throughout WA so we understand your reporting requirements, but we also strive to learn about the needs of your individual association. Our goal is to supply accounting and bookkeeping services that will help your organization run smoothly and plan for the future so we offer budget assistance, account reconciliations, tax planning, and much more. 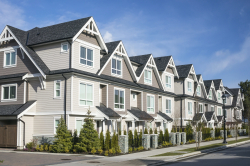 Our experience with tax services for condominium and homeowners' associations allows us to offer innovative strategies for complex tax situations that will minimize what you owe. We also deliver accurate monthly and year-end financial reporting along with reliable advice to association managers and board members throughout the year. Contact GDM Private Financial Solutions today at 425-283-5425 to discuss our real estate accounting services for condo associations, HOAs, and co-ops or request a consultation online now. Get in touch with us today to find out how we can help.